Music has always been an integral part of meditation. In fact, some forms of meditation even resemble music at times, such as chanting, singing bowls and prayer. It’s not hard to imagine why these two crucial human activities go hand in hand with each other. Both are beneficial for the mind, creating a sense of connection, peace and relaxation. Listening to music while you meditate is one holistic way to combat common issues like stress, depression, insomnia or chronic pain. These ancient practices have been used by millions of people for centuries, and their benefits have now been demonstrated by science, spiritual practitioners, and regular people alike. On its own, music has impressive and mysterious effects upon the mind. Scientific studies on the effects of music on the brain have confirmed what we already instinctually know: music is essentially medicine for the mind. It does everything from stress relief to improving mood, memory, alertness, and sleep quality. Listening to music can also be thought of as a workout for the brain — it helps keep your mind young, especially if you’re engaged in the music in some way. Listening to music regularly, playing music, and hearing new types of music are all beneficial for your brain as you age. You may notice that specific types of music have particular effects on the brain. While some genres are used to rile people up and prepare them for action, other types can be used to help people fall asleep at night. There are certain melodies and sounds that consistently make people feel peaceful and drowsy. Music can therefore be used to induce a relaxed state. 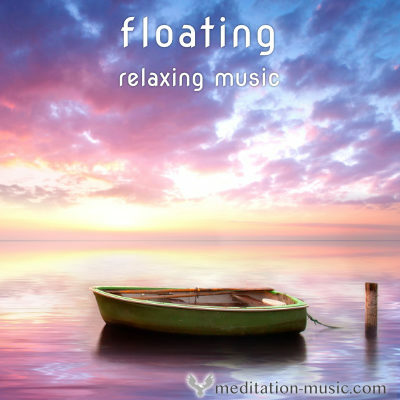 For people that struggle to achieve relaxation, finding the right music can be a life-saver. It’s not just the sound of the music that helps relax you. It’s also the simple act of having something to focus on aside from your thoughts and feelings. 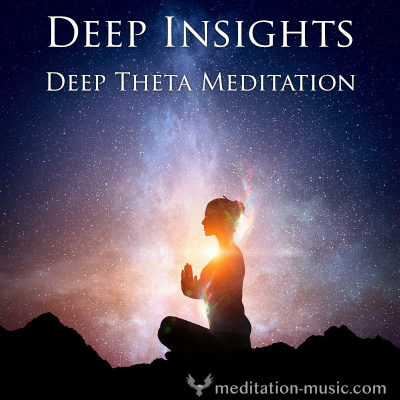 Meditation music provides something especially neutral and calming to anchor you to the present moment, encouraging you to stay with the music rather than become carried away by worries. 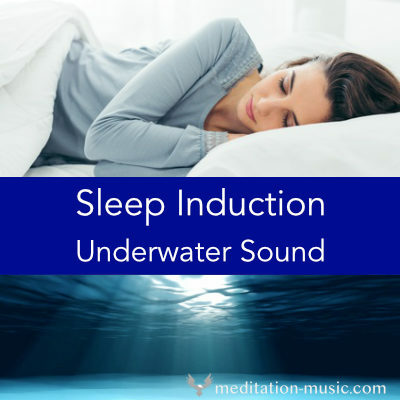 This is useful whether you intend to meditate, do yoga, or prepare your body for a peaceful night of sleep. Music shares many health benefits with meditation. Like music, meditation is healthy for your brain: it improves mood, sleep, and attention. Both music and meditation reduce anxiety, stress and depression. These practices have been around for much of human history, and it’s for good reason: they help us cope with a stressful and confusing world, and they require nothing of us except for time. In the modern era, people in the West have increasingly turned to meditation as a source of calm and healing. Listening to music for meditation can increase the benefits of both practices. 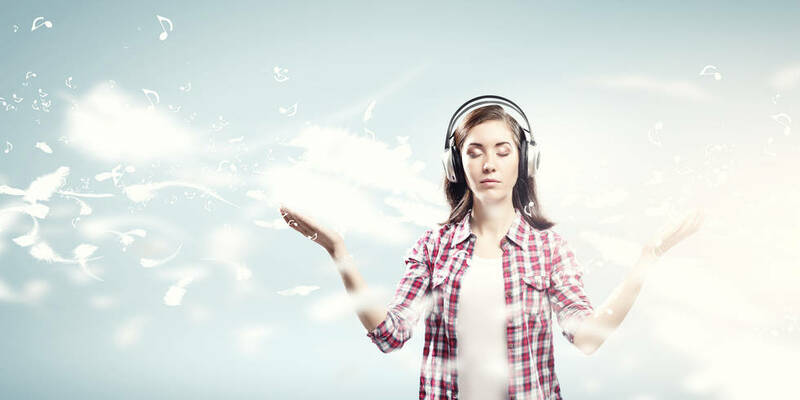 Music makes it easier for many people to meditate without becoming distracted or frustrated. In turn, the open state of mind caused by meditation allows you to hear the music fully; it can penetrate your mind and body and create a sense of inner peace. Music is useful on a practical level during meditation. Most people in the West are now concentrated in urban areas, where there are a lot of noises competing for your attention at any given time: your neighbor’s dog, cars on the street, or nearby trains. Even the ambient noise of street lights or the refrigerator can distract you from your meditation practice. You can use music to drown out these noises, filling your ears with healing sounds instead. It’s particularly helpful to use music in this way if you are meditating outside of the home. Certain forms of meditation, such as focused meditation and walking meditation, are very beneficial when done outdoors in nature. However, even quiet parks can sometimes have distracting noises! You can play music in your earphones to help you focus. 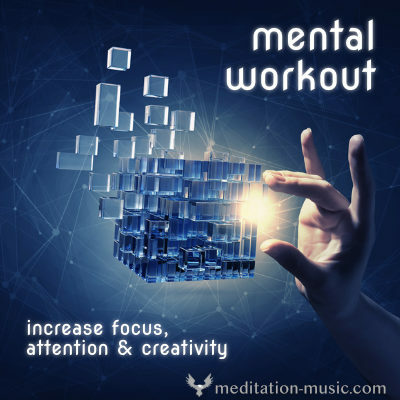 When doing a focused meditation, you can even use the music as an object of meditation. This type of meditation involves focusing deeply on one item or object, whether real or conceptual, and allowing all other thoughts to pass away from the mind without judgment. You can do a focused meditation on just about anything — a candle, a tree, a river — but using music as an object can be done anywhere. The first and arguably most important step to starting any meditation practice is creating the right atmosphere. You need to find a quiet spot in your home and make it into a comfortable, inviting place to sit and focus. This helps incentivize you to actually meditate everyday, and it also makes the actual meditation go more smoothly. Creating the right space does not just involve objects like mats or cushions. You need to take all of your senses into account — smell and hearing included. Lighting candles or incense is a common practice, and playing meditation music of some kind goes a long way toward creating atmosphere as well. These less tangible aspects of your meditation space are, in fact, just as important as the physical space for allowing the mind to concentrate and become still. When you play meditation music during your session, it helps signal to your brain that it’s time to slow down. Associating meditation with one special type of music will help you settle down and get into the zone more readily. On the flip-side, if you tend to feel sleepy when you try to meditate, you can change up the music from time to time to help stimulate your brain. There are as many ways to meditate as there are people in the world. This tradition has a long and intimate connection with music and sound. When used together, music and meditation can have powerful effects on your well-being - both in the short term and over the course of your life.